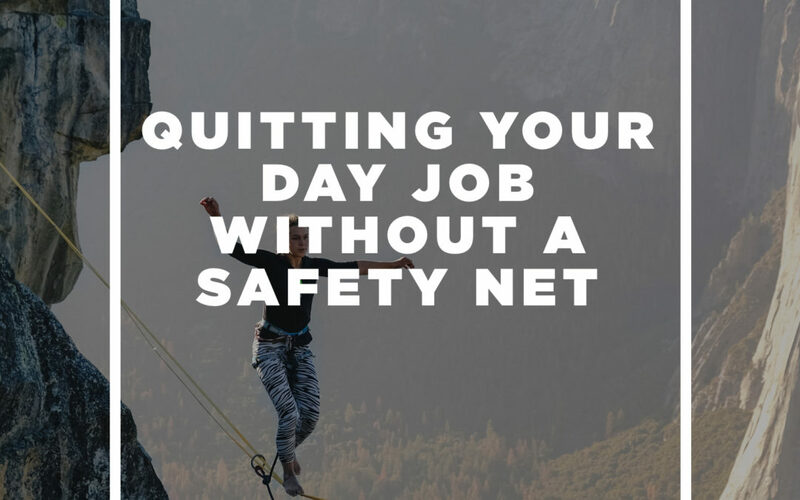 As a freelance web content writer, finding the ideal moment to quit your day job for full-time self-employment can be a tricky process. Although you might be dying to put in your two-week’s notice, flip your boss the bird and ride off into the sunset of your new freelance career, most of the “so-called experts” out there recommend that you have at least a six-month emergency fund and a full roster of clients on hand before you even start inching towards the door. But this is the real world! 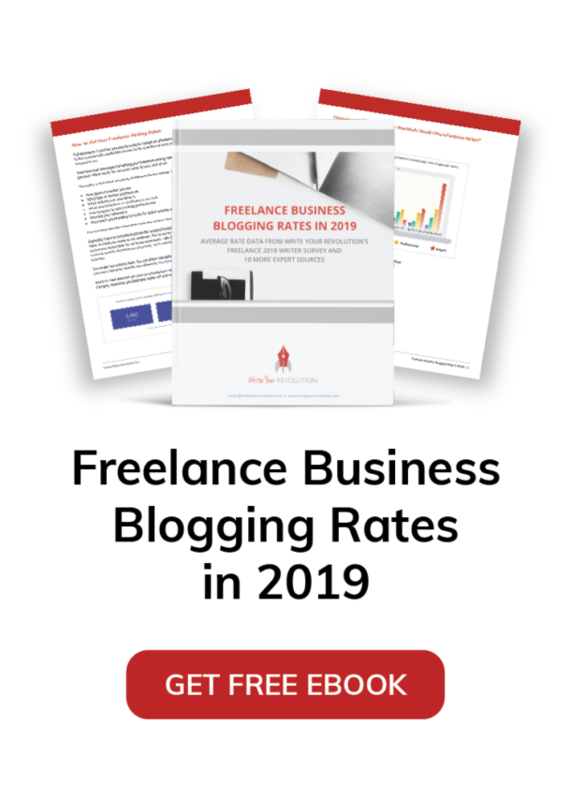 You and I both know that things don’t always go the way the financial experts tell us that they should – and I’ve found that, for many freelance writers, this results in a tremendous amount of confusion as to when the appropriate time is to actually make the leap to self-employment. So today, I want to share with you one of my experiences leaving a day job (I’ve actually made the leap three times, though under similar circumstances in each case). I’m not saying that this is the right or wrong way to make the move to self-employment for everybody – I just want you to be aware that there are other options out there besides waiting until every single one of your ducks is in the proverbial row. When I left my day job to pursue full-time freelancing for the second time in February 2012, I had exactly one of these things. I did not have six months of emergency savings – in fact, I barely had enough in the bank to cover one month of expenses if my freelance career failed miserably. I did not have a partner with a steady job. My husband actually quit his job the same weekend that I did, making for two sets of extremely nervous parents. And while I had made some strides towards paying down our bills, we still carried more debt than I would have otherwise liked into those first few months of self-employment (thanks, failed engine timing belt!). I didn’t then – and still don’t now – have a business plan (which I really, really should do one of these days…). What I did have was a full load of clients. When I made the decision to start working towards self-employment in July 2011, I immediately started looking for good clients who paid decent rates and needed regular work. By the time I was ready to leave my job the next February, I was earning as much from these clients as I was from my day job. Because of this, I knew that we’d be financially okay in the short run – even if things went sour later on down the road. My original plan was to leave my day job in July 2012, which certainly would have put us on more stable financial ground. But by February, I was done. A number of different elements at my day job had deteriorated, and the reality of balancing a full-time job with a full load of freelance clients had done a number on my health (no joke – I was sick for four months straight with a series of miserable colds). The situation I was in was unsustainable, and I knew I had to make a change. 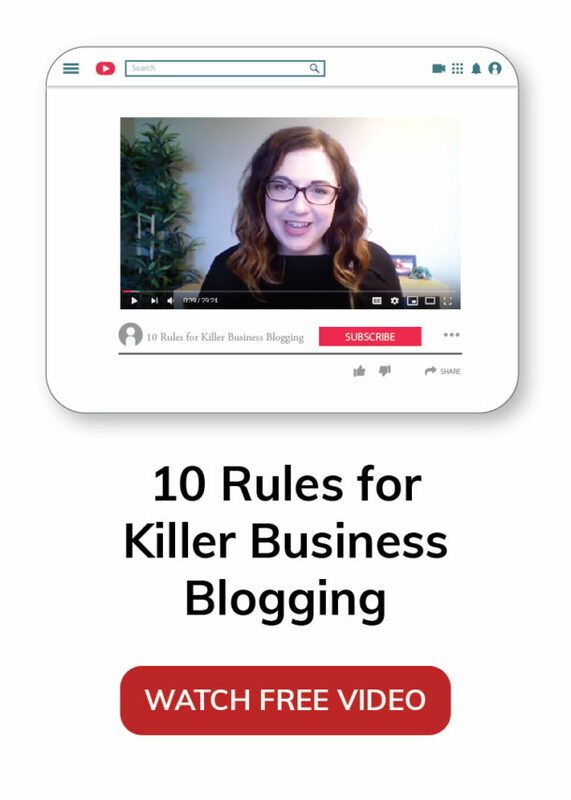 At that point, I had a choice – I could scale back on the number of writing clients I had taken on or I could make the leap early, before we were financially “ready.” And while the thought of leaving my day job earlier than expected was admittedly scary, the momentum I was seeing in my freelance career was undeniable. Who was I to start turning down clients when my whole goal was to go full-time as a writer? So I quit, and I decided to trust in myself and my skills that I’d be able to make things work. In fact, I have to admit that I counted on this fear to a certain extent. Knowing that we didn’t have a safety net to fall back on made me work that much harder to seek out better paying clients and to keep the customers I was working with happy. Truly, it was a “sink or swim” situation for us, and I had no choice but to keep swimming. Ultimately, it wound up being the right choice. My husband and I were better off financially than we’d ever been, and the benefits we received in terms of having more flexibility and freedom in our lives more than made up for possible monetary losses. At the time, our particular situation was made easier by the fact that we didn’t have kids and that we lived in an area where the cost of living is relatively low. In addition, my husband and I had gone through a year’s worth of detailed records of all our bill payments and discretionary spending to determine exactly how much income we’d need in self-employment and where expenses could be cut during lean times. We even had contingency plans for when I’d go back and find another day job – or, which set of parents we’d move in with – if things got really bad. Fortunately, we didn’t have to enact any of these backup plans, but I can’t deny that we had a number of different resources and positive factors that made self-employment a viable option much earlier than it would have been in other cases. If you’ve got a family to support, a large house to maintain or sizable student loan debts, that six month emergency fund we talked about earlier might be less of a “good thing to have” and more of an “absolute necessity.” For this reason, it’s extremely important that you give your own financial situation – as well as the amount of risk-taking you’re personally comfortable with – a thorough examination in order to determine how and when freelancing full-time can fit into your life. That said, what I want you to take from this article is the idea that it’s okay to go against the experts’ recommendations and do what’s best for your personal and financial situation. Is it good to have that laundry list of pre-freelancing “must haves” in place? Absolutely! Is it necessary in every situation? Absolutely not. With a bit of planning and a lot of hustle, it’s possible to make the leap to self-employment on your own terms – not when some arbitrary financial guru tells you it’s okay to do so. I am not freelance web content writer, I am just humble programmer, but I also want to change things and I totally agree with everything you wrote here. That’s great to hear that you’ve got the time and support to work on your personal projects. Even if things are tough for you now, I hope that they turn around soon with your hard work. When I left my full-time job, I had 6 months of savings, a medium-level knowledge of blogging and web-writing and a good collection of ideas on career-management. I had orginally planned to stay longer, but I also had colds that didn’t seem to go away and I was too miserable to stay. Of course I’m on my own, so that was an advantage for me. Luckily for me, I had a much more financially stable situation when I left my last “real job”; this allowed me some time to just relax and figure out what kinds of clients I wished to work with. I actually ended up “trimming the fat” so to speak and culling back several steady clients for various reasons. And then I started picking up new steady clients….it’s been a good journey so far…good luck to you! Halina – That’s great to hear! I definitely think that being as financially stable as possible is a good thing, and I’m glad that you were in a good place to be able to pick and choose the best clients for your business. Thanks for sharing your experiences! I’m in the middle of this situation right now! But, our circumstances are a smidge different – we are trying to move out in a few months, and we are basically on a paycheck-to-paycheck lifestyle. So I have taken a part-time job to supplement my income right now. We will see how it goes! Great post. It’s nice to see other people taking the leap. I agree that you don’t have to have everything that’s on their list but if you don’t – be prepared. I had none of those things in place when I quit my full-time job. I’m single and I don’t mind living on Ramen Noodles, but I eventually ended up having to move in with family for about 18 months so I could learn about how to operate this business profitably and then start it all over again from scratch. Great article. I found your website a little while ago and love it. I resigned from FT work about 6 weeks ago. I’d been there for near on 6 years and had none of the ‘5 things you are supposed to have!”. All I had was a burning desire to write. I’m a big believer in setting your intent and not even 2 weeks later I gained PT work as a Marketing Manager, returned to study and am setting my own business up. It’s all about having confidence in your ability I think.